A century from Neil Brand was not enough as University of Stellenbosch (Maties) edged out University of Pretoria (Tuks) by a single run on day three of the University Sport South Africa A Week in Stellenbosch on Wednesday. 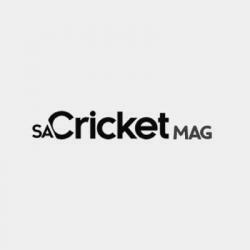 The result ensured the hosts topped section A, pool A, and earned a semi-final meeting with the University of Western Cape (UWC), who were winners over University of Cape Town (UCT) by seven wickets. There were also victories for North West University (Pukke), University of Johannesburg (UJ), University of Free State (Kovsies), Tshwane University of Technology (TUT), North West University (Vaal) and Nelson Mandela University (Madibaz B), as the group stage of action concluded. Maties lost the toss and were asked to bat first, with their response being a competitive 221 for seven thanks to a half-century by Fritz de Beer (51). Brand was one of the best bowlers, with two for 31, and then also made 103, which ran the home side close. He was eventually dismissed with 23 needed and that equation was reduced to 16 runs off the final over. Tuks managed only 14. The pick of the bowlers was Khanya Dilima, with four for 43 for Maties, who ended up on top of the group ahead of their opponents. They will now play UWC after they ended second in section A, pool B thanks to a seven-wicket win in a low-scoring chase of 92 against city rivals UCT. Zubayr Hamza’s unbeaten 59 was the key number for the winners. The winners of the group were Pukke – the semi-final opponents for Tuks – after they brilliantly defended 125 thanks to figures of five for 30 by Ruan Haasbroek, who helped skittle Madibaz A for 99, sealing a 26-run win. Elsewhere, UFS made it three wins from three to top section B, pool A after flattening University of Witwatersrand (Wits) for 49. Sean Whitehead starred with bat and ball for Kovsies, first striking 51 not out and then returning the amazing figures of three for two in one delivery short of seven overs to seal a lopsided win. The other match in the group saw Thomas Hobson (132) score the other century of the day, as TUT made 231 all out versus Walter Sisulu University, who were shot out for 62. Phineas Kgapula destroyed the WSU batting with five for 39. Madibaz B finished top of section B, pool B, after their final game ended with a 10-wicket hammering of University of Fort Hare. 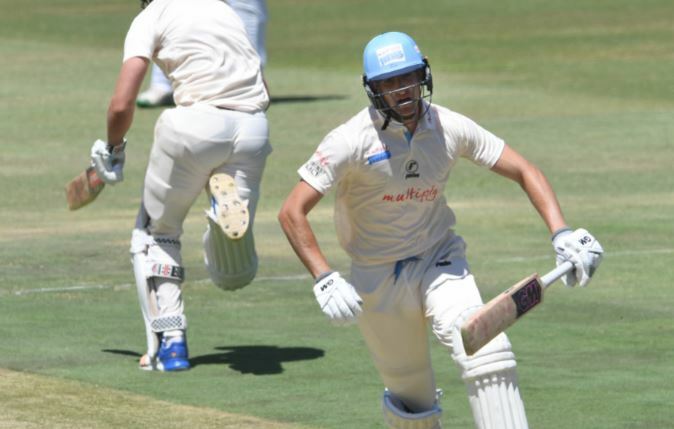 After their marathon 310-run opening stand the previous day, Hanno Kotze (53) and Levin Muller (68) knocked off the target of 125 without losing any wickets after Joshua Kleu (four for 17) and Todd Walker (three for 14) had claimed most of the wickets. Finally, Ruan Joubert starred with bat and ball to help Vaal trump University of KwaZulu-Natal by four wickets. 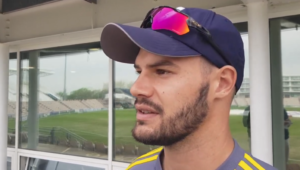 The all-rounder first claimed two for seven and then struck 35 not out to help his side chase down 160 with just over 12 overs to spare. The semi-final line-up from section B will see UFS play Fort Hare, while Madibaz B will take on Wits.